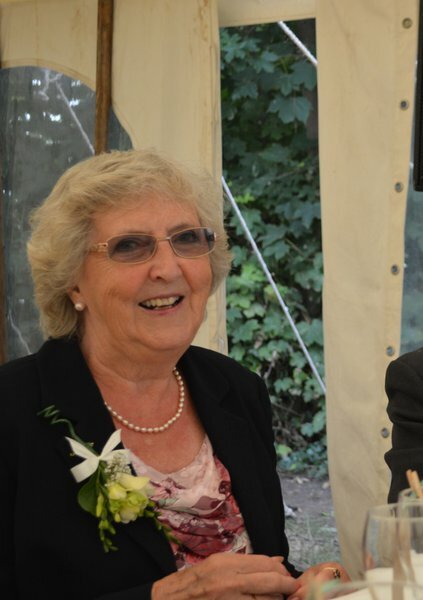 In loving memory of Valerie James of Northlew who suddenly passed away on 6th July 2015. 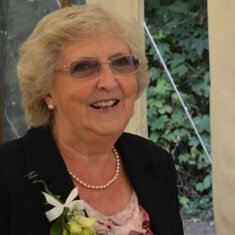 Beloved Wife of Allen, Loving Mum of Wendy, Linda & David, Dearest Nan & Great- Nan. Funeral Service at Northlew Methodist Church on Friday 17th July 2015 at 2pm. Family flowers only, donations if desired for the British Heart Foundation by retiring collection or may be sent to N.Lock & Son, Black Torrington, Beaworthy, EX21 5QD. A total of £477.35 was raised for the British Heart Foundation in memory of Valerie. In loving memory of a lovely lady and very dear friend, over many years. Val's early, and tragically sudden, passing, cannot ever erase the most happy and wonderful memories of our friendship and times together with Allen and Val. God bless you, Val, and may you forever rest in his Eternal peace.